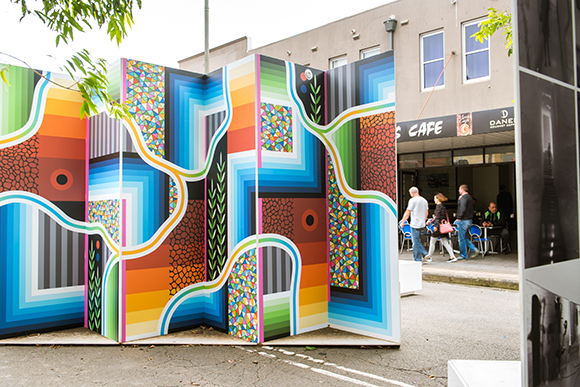 A creative placemaking project and activation on Meeks Street in Randwick to enhance the surrounding businesses during the Light Rail major works within the area. 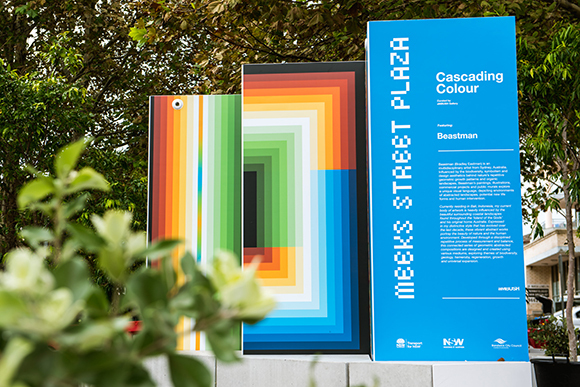 Cascading Colour was a seasonal activation and engaged Australian artists George Rose and Brad Eastman (aka Beastman) in the creation of digital artworks. 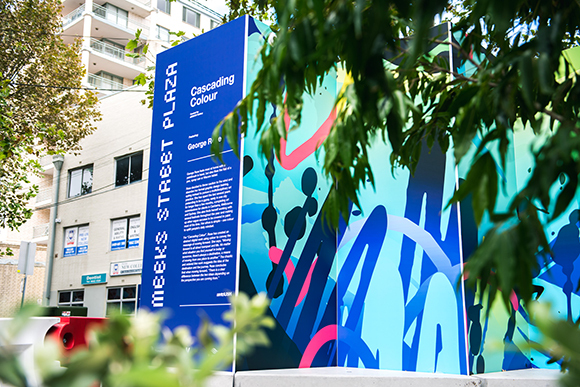 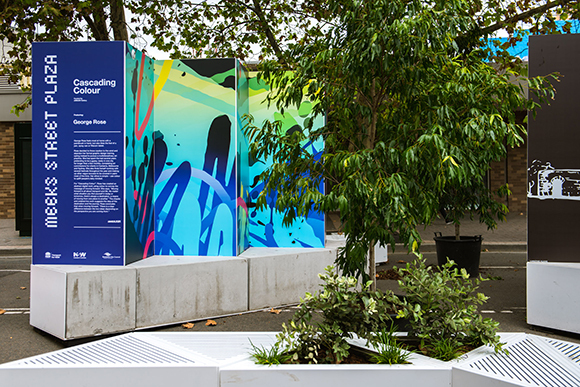 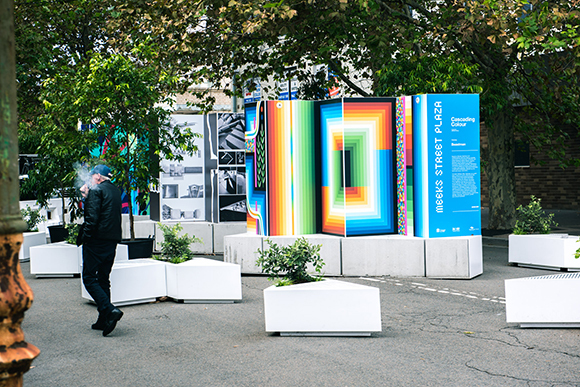 The artwork became part of the creative placemaking initiative on Meek Street Randwick – an initiative of Transport for NSW, designed by architects Arch Rival. 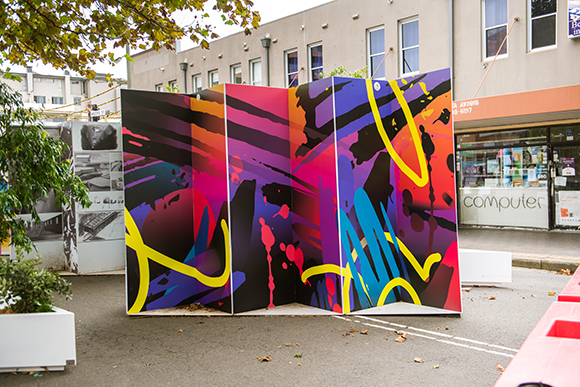 Cascading Colour was curated and produced by Wiltshire + Dimas’ aMBUSH Gallery.